One of the most motivating stories to have been captured on www.jump.com.gh is that of “The Dough Man”. I personally met the Doughman when he addressed a Rotaract meeting a few months back. I was not surprised when his story made it onto a platform dedicated to inspiring young people and young professionals. 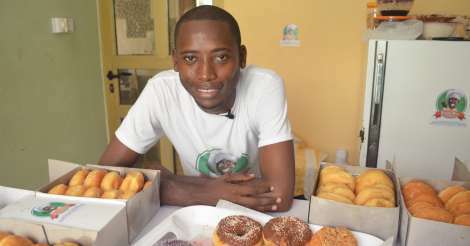 The Doughman is essentially a young man who has taken to making doughnuts as a business venture and is making a profession out of it. 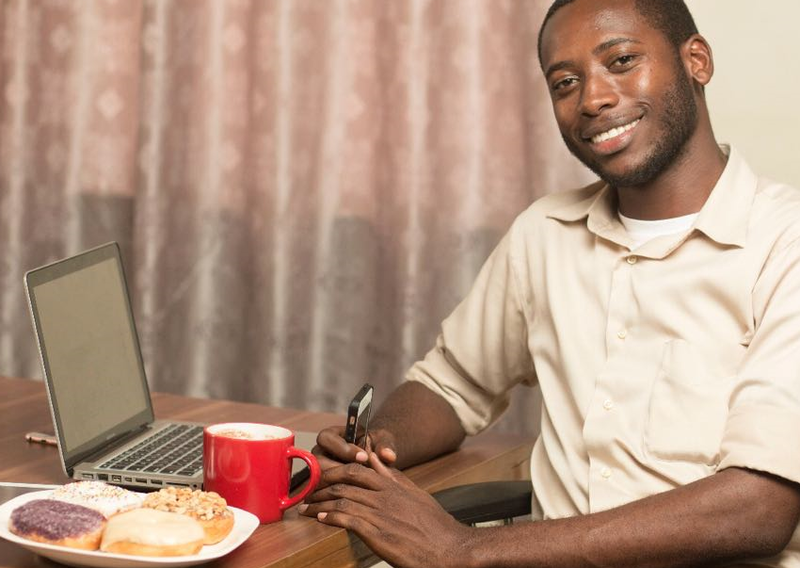 Social media is turning around businesses in Ghana. Lots of startuppers are beginning to discover the immense benefit social media can be in building their brands, customer base and increasing sales. App developer, turned doughnut maker Francis Kofigah is the CEO of Doughman Foods. When he was asked what’s an app developer doing selling doughnuts, his answer was that “I get asked that question several times. I like doughnuts. I like to have them with pineapple juice. I just love them”. According to Francis, a friend got him doughnuts from town and it tasted really good. So he asked for it a second time, but it was out of stock. He got so surprised because it was only 9am and so he thought there was opportunity in there. He decided to do a little research on how to make doughnuts, got a team together and kick started it. For his first day in business, they wondered how they were going to sell. That was the challenge. “We got these paper bags put the doughnuts we made in and decided to go from shop to shop to tell people about our doughnuts. Some wanted to taste, some others rejected because they didn’t know the brand. In fact we got several rejections”, he said. Did he feel like giving up then? Oh yeah he did. He really did. He had invested a lot of money in it and people were just tasting without paying for it. So they devised a plan to rather market their doughnuts on social media and they targeted specific personalities they thought would push their product. It worked. So under a year, they have moved from doing 20 to 30 pieces a week to doing hundreds. That’s because they got some social media influencers to share their posts on Facebook, Twitter, and Instagram. Calls were just coming through and the market just shot up! Today they struggle to meet requests because they are overbooked. Let’s bear in mind that Francis Kofigah is a technology guy. He develops apps among others. How does coding and doughnut relate? People ask that a lot. But because he is a techie, it is rather helping his business. He uses the knowledge he has acquired to promote his business. So what’s the future for Doughman? Well they aim to deliver all over Ghana. Currently they run their delivery service only here in Accra. “Who knows we could even become a popular name in West Africa if you give us another year” – that is the belief and dream of the young man. Stories like this are compiled on www.jump.com.gh and offer a good source of materials to inspire young people and young entrepreneurs.